Penetrating the darkness with the Gospel light. Preparing disciples to fulfill the Great Commission. Pulling down the strongholds of poverty. Partnering with Kingdom minded believers in reaping a last day’s global harvest. Providing resources for pastors and workers. Serving South-East Asia since 1983. Ten POPPI’S KITCHEN feeding centers provide hot, homemade, healthy meals to approximately 600 hungry and underprivileged children each week in the urban slums of Jakarta and in rural villages on the remote islands of Indonesia. In most locations, the Smiths partner with local churches that sponsor a pre-school, kindergarten or elementary school which serves as the setting for POPPI’S KITCHEN outreach ministries. Every POPPI’S KITCHEN location begins with chapel (prayer, praise, worship, and a devotional), then the meal, and finally school. 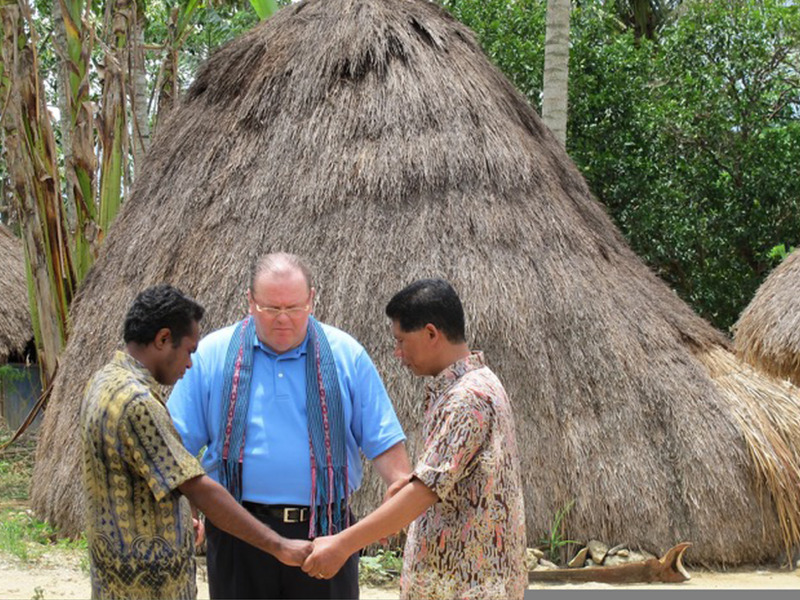 This format which the Lord gave to Poppi is transforming Indonesia, one child at a time.